Youth! Justice! And the American Way! 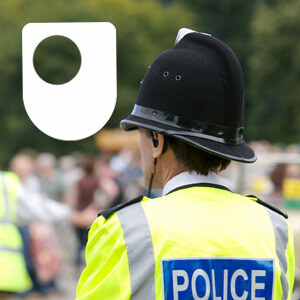 Rod Earle, OU academic lead for youth justice, looks at why American 'supercop' Bill Bratton has been flown into the UK to help the Government tackle gang crime in the wake of the summer riots. Is it a bird? Is it a plane? No! It’s supercop! Or rather Bill Bratton, the American ex-police officer who has been flown into the UK to help the Coalition government tackle gang crime and urban disorder in the wake of the riots this summer. The riots of 1981 gave us Lord Scarman’s illuminating report, the 2001 riots in Oldham and Bradford brought us Professor Ted Cantle with his concerns about parallel communities divided by racism. In the wake of the most serious disorder seen in English cities in over a century, the last thing the Coalition wants is historical or criminological perspective. Don’t call an inquiry, just call Bill. Bratton’s your man! Tough and craggy, he wears a coat and probably smokes a pipe. He gets the headlines, he goes on TV, he gives soundbites. Bratton’s appointment and arrival in the UK provides the Coalition government with neat news headlines and an alluring figurehead. He is commonly referred to by the media as a ‘supercop’, and is widely credited with being responsible for bringing rampant crime and disorder under control in both New York and Los Angeles. A quick tour of British cities with gang problems has been organised for Bill Bratton and he will then attend a Home Office conference to develop policy responses. The concern is to ensure there is no repeat of this summer’s burning and looting while London hosts the Olympics next summer. But criminologists are rather more sceptical about Bratton’s credentials, pointing to substantial crime drops in other US cities, some pursuing very different policies. Here in the UK the contrast with earlier outbreaks of disorder are stark. Vehement denunciation has replaced sustained scrutiny. Only after sustained pressure from the Coalition's Liberal partners and the Labour opposition was a Riots Communities and Victims Panel4, established chaired by Darra Singh, the head of the government employment agency, Job CentrePlus. It falls quite some way short of a full public inquiry. Another response has come in the shape of a novel project launched by The Guardian newspaper, the London School of Economics and the Open Society Foundation. Led by the LSE’s Professor Tim Newburn, ‘Reading the Riots5’ has recruited and trained teams of local researchers to gather views about, and experiences of, the riots. Analysis of these interviews will be combined with that of riot-prompted Twitter feeds compiled by The Guardian. The intention is to get an understanding of what took place from the perspective of those most closely involved. The project draws from another American experience, a landmark study by the University of Michigan of the riots that nearly tore Detroit apart in the summer of 1967. Using innovative research methods involving local people in quickly gathering and analysing data, their report gave unique insights into what had happened in Detroit. The LSE team hope to report their findings in December. Thirty years after the centre of Liverpool was the site of sustained rioting, a new book explores the causes, and finds out what happened next. Laurie Taylor talks to the authors. Sometimes thousands of miles from home - if they have a home - and frightened. What is life really like for Russian young offenders, and how do their surrounding compare to British centres?